Richard Uhlig was a retired Wall Street executive when his life changed six years ago. In 2015, he founded Syracuse, NY-based Motion Intelligence (now known as Quadrant Biosciences) to develop better functional assessment tools and epigenetic biomarkers to diagnose and monitor brain diseases and injuries, including concussion, autism spectrum disorder (ASD), early-stage dementia, Parkinson’s disease, and attention deficit hyperactivity disorder (ADHD). Quadrant Biosciences recently partnered with ChoiceOne/MedSpring to offer the ClearEdge Brain Health Toolkit at select ChoiceOne/MedSpring centers in the Baltimore and Dallas-Fort Worth areas. ClearEdge, developed in cooperation with researchers and clinicians at State University New York (SUNY) Upstate Medical University, is a collection of functional assessments designed to monitor and track subtle changes in cognitive function, balance, and patient symptoms over time. ChoiceOne/MedSpring will offer ClearEdge assessments for patients who wish to establish baseline measures of their brain health, or who have just experienced a head injury, according to Uhlig, who adds that the initial ClearEdge assessment will be useful as a comparative point to both track patients’ brain health over time and, in the event of an injury such as a concussion, also help assess recovery. In March, the Hall of Fame (HOF) Players Foundation, established by the Pro Football Hall of Fame, and Quadrant Biosciences agreed to monitor the brain health of retired NFL athletes, using the company’s assessment tools. HOF Players Foundation is a Georgia-based nonprofit organization dedicated to assisting legendary NFL players who are now facing personal difficulties and health challenges. In addition to participating in the ClearEdge testing, Quadrant Biosciences is collecting saliva samples as part of its research into epigenetic biomarkers for brain health disorders. Last November, in a paper published in JAMA titled, “Association of Salivary MicroRNA Changes with Prolonged Concussion Symptoms,” researchers from Penn State Medical Center described microRNAs as potential biomarkers for predicting the duration and nature of concussion symptoms in children. Quadrant Biosciences funded part of the research with the goal of bringing a saliva test to market later this year or next. Human spit may hold the key to better understanding concussions in sports. Researchers are trying to figure out if a football player’s saliva can tell team doctors something about his brain. 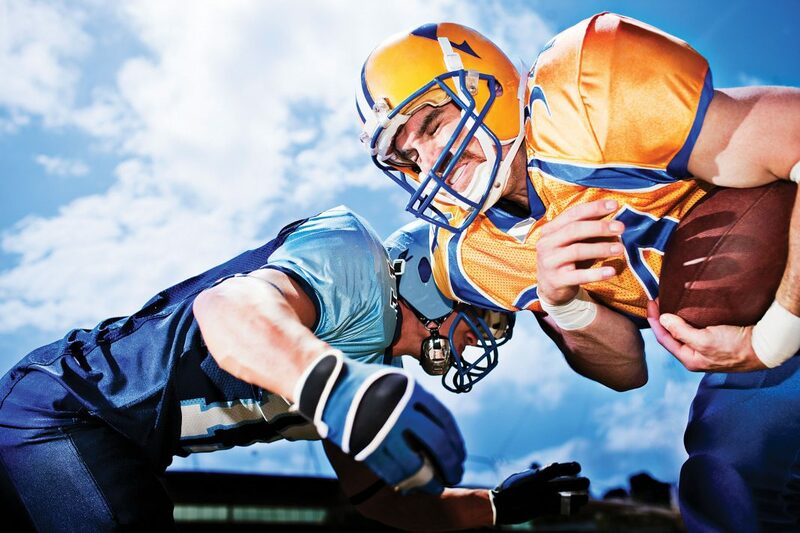 Following a concussion, injured brains release micro-RNAs, which can appear in blood and saliva. When compared to baseline results collected from healthy athletes, the data collected from human spit may be able to tell doctors if an athlete has suffered a concussion or not. In April, Quadrant Biosciences signed three licensing agreements with SUNY Upstate Medical University and Penn State University for the global commercialization of epigenetic biomarkers for ASD, Parkinson’s disease, and concussion. Being able to use saliva and accurately measure these microRNAs is an effective way of looking at injury or disease states, stresses Uhlig. “That’s what we’re using as differentiators for diagnosing not only concussion but also Parkinson’s, ASD, and ADHD, for example,” he continues. These are products the company is currently researching, and it expects to have the saliva microRNA test for ASD on the market later this year, according to Uhlig. In characterizing his company, Uhlig explains that it is at the intersection of three trends for which the company positioned itself. The second trend revolves around the incredible advances in artificial intelligence and machine learning, and the third is the rapidly declining cost in genetic sequencing.